Delegate all business payment administration to your bookkeeper or accountant so you can spend more of your time growing your business. 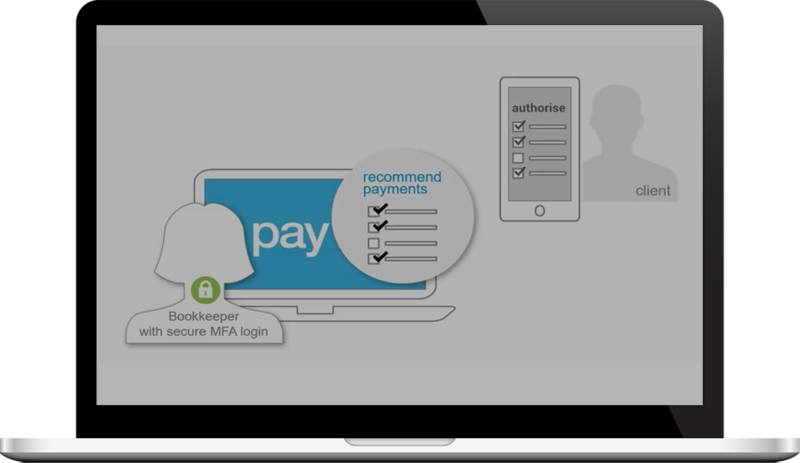 No more insecure management of ABA files and payments. 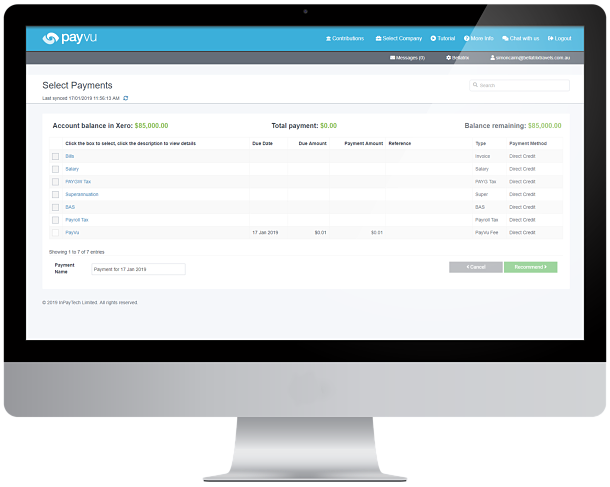 Add new, automated payment services to your business without needing extra staff or time. Services that were once considered too inefficient, painful and time consuming can be delivered easily and profitably with cloud technologies. payments within 1 app, 1 process and 1 page. The bookkeeper or accountant recommends items for payment to the business owner. The business owner then authorises those payments via their mobile phone. Approved payments are automatically sent to internet banking for processing. Rejected payments are re-set to unpaid, notifying the bookkeeper or accountant of the reason for rejection. Business owners may delegate payment authority to their bookkeeper or accountant without sharing internet banking credentials. With PayVu’s automation, payment administration that used to take hours to prepare now just takes a matter of minutes. PayVu automates software & banking logins via secure Multi-Factor Authentication to reduce the risk of an unauthorised person gaining access to your systems & accounts. Our solution can help simplify your operations and give you more time to focus on your other priorities.